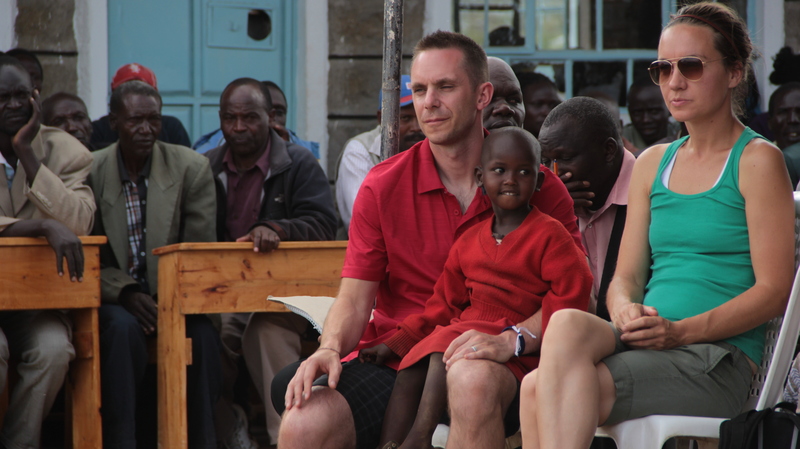 Kimugul Primary School at Lemolo A is Open! We are so excited to share with you that Kimugul Primary School at Lemolo A is officially open and children are already there, busy learning! 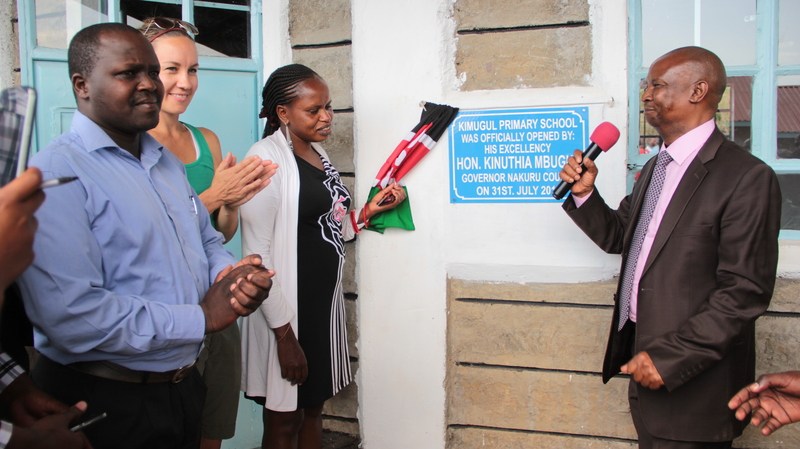 At the end of July the Nakuru county governor, His Excellency Kinuthia Mbugua officially opened the school and celebrated with the community. In addition to his official duties, Governor Mbugua generously donated 400 school uniforms, sanitary towels for the girls, 500 tree seedlings and 40 bags of maize. These donations were a complete surprise to the people living at Lemolo A and, as you can imagine, the celebrations were joyous and full of thanksgiving. 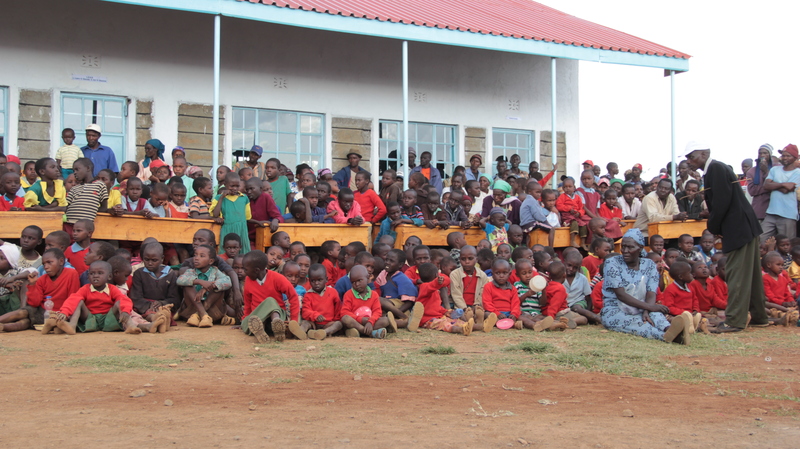 VICDA would like to thank World Teacher Aid who made the construction of this school possible and who have changed the lives of the children in the Lemolo community. Thank you, also, to Governor Kinuthia Mbugua for his generosity and support. 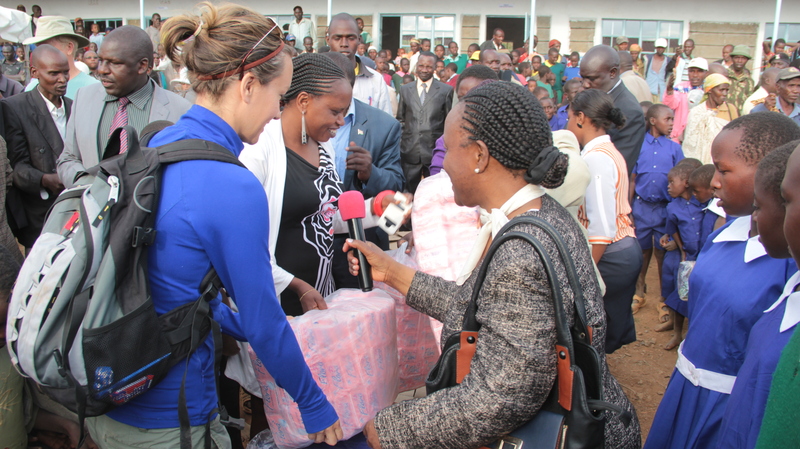 Governor Mbugua, Irene Wairimu and a representative from World Teacher Aid celebrate the opening of the school.